Put the kettle on, sit back and relax in style with this Cambridge Harrogate mug. 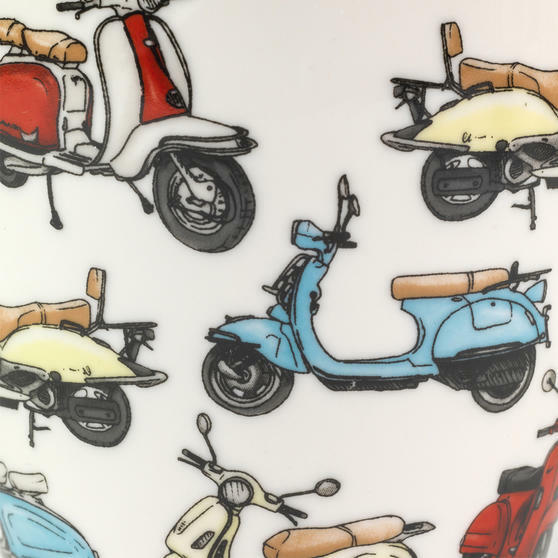 Perfect for a keen scooter enthusiast, it features a cool, colourful retro scooter design on a white background. Crafted from high quality fine china with a gloss finish, this superb mug is practical for everyday life as it is microwave and dishwasher safe, making it easy to use and convenient to clean. 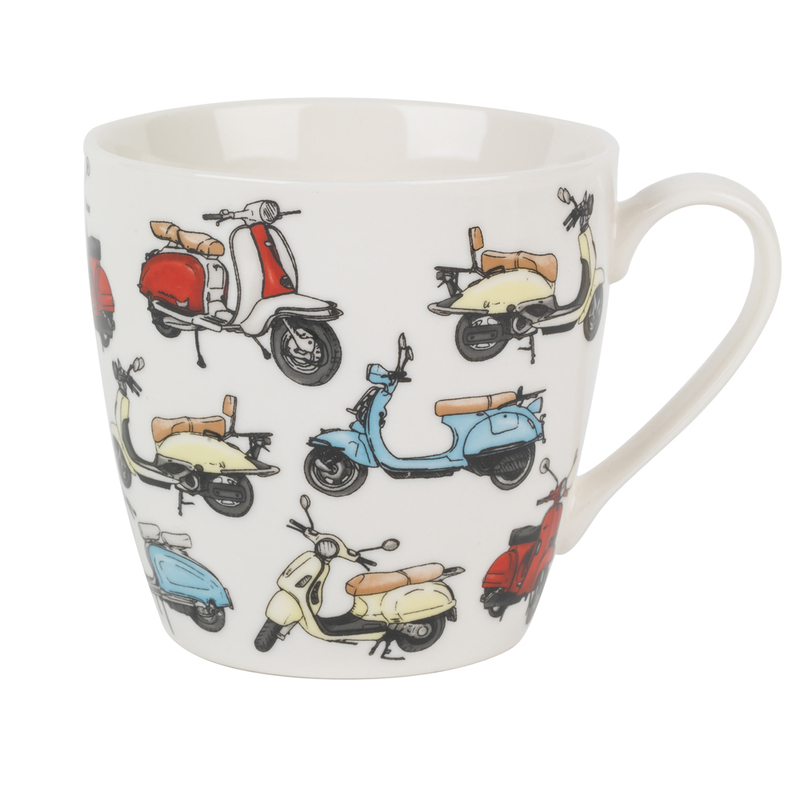 Ideal as a gift or simply to treat yourself, it will look just as good in the office as it will in your home. 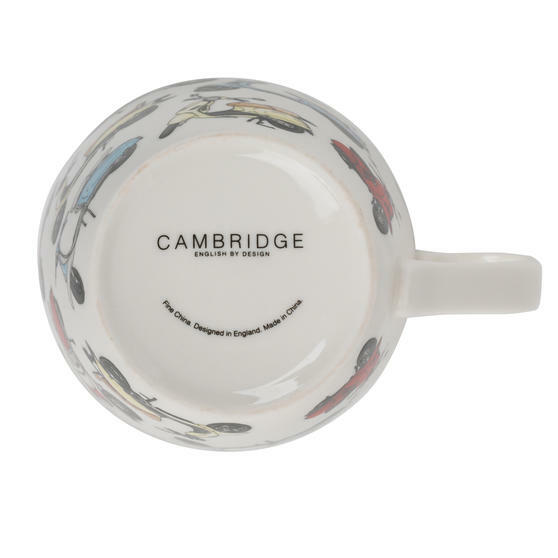 This delightful Cambridge Harrogate mug is made from fine china with a gloss finish which looks great and is perfect for everyday use. 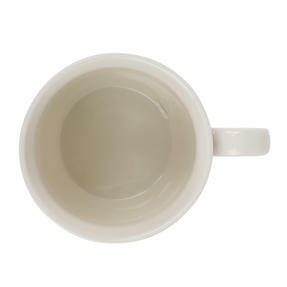 A generously sized 9.8h x 10.3w cm, it comfortably holds 350ml - 400ml if filled to the brim which is perfect for a large hot drink. 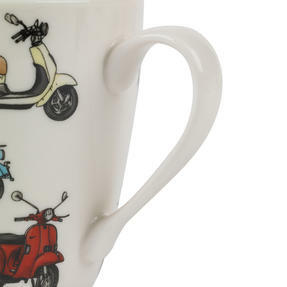 This mug features a funky colourful car design with all your favourite vintage cars and is ideal for enjoying a coffee at work or home.